The Portuguese colonised India in 1510, conquering many parts of the western coast and establishing several colonies in the east. By the end of the 19th century, Portuguese colonies in India were limited to Goa, Daman, Diu, Dadra, Nagar Haveli and Anjediva Island. Portuguese control of its Indian colonies ended when India invaded Goa in 1961 and incorporated the territories into the Indian Union. After independence of the India on 15 August 1947, Goa people also started movement to free to Goa from Portuguese rule. Portuguese armed forces opened fire during 15 August 1955 movement when approx 8,000 people were marched to Goa free. During 1955 movement Portuguese troops killed 32 people on the spot and 225 people were deeply injured. Indian Government sent approx 30,000 ground troops along with naval and air forces. This operation named was “Operation Vijay” which was started from 17 December 1961. In Operation Vijay, 30 armed forces were killed of the Portuguese along with 22 military killed of the Indian army. This operation was run during 36 hours while no large level violence occurred during operation. At last Governor General of the Goa Vassalo Da Silva declared Goa state as free from Portuguese rule on 18 December 1961. Finally, Goa state became as part of the India on 19 December 1961 when Indian Armed Forces under a daring, audacious and swift operation liberated Goa from the Portuguese. The deposed governor general of Portugal in India manuel antonio vassalo e-silva surrendered to the then Chief of Army Staff general Pran Nath Thapar. The War Memorial at Indian Naval Ship Gomantak was constructed in memory of seven young gallant sailors and other personnel who laid down their lives on 19 Dec 1961 in the “Operation Vijay” undertaken by the Indian Navy for liberation of Anjadiv Island and Territories of Goa, Daman and Diu from the portuguese rule. 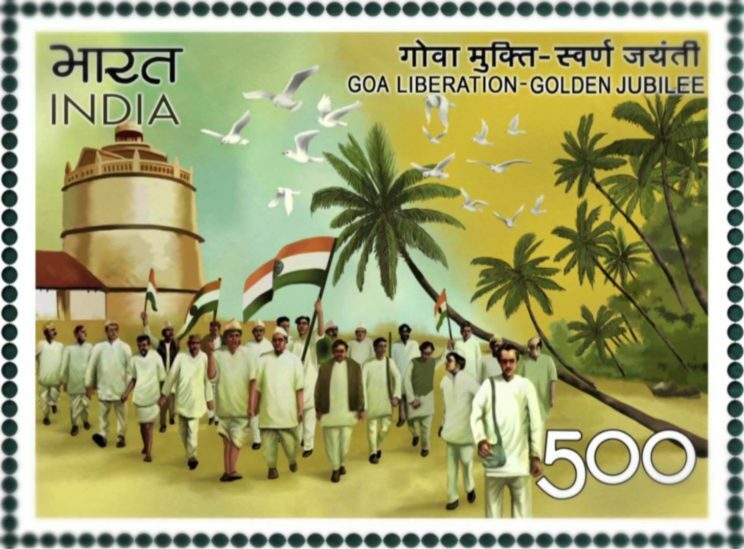 Goa Government celebrate “Goa Liberation Day” on 19-December as public holiday every year. People celebrate holiday and remember sacrificed of the freedom fighters of the Goa who lots their life during movement from 1955 to 1961. The great mathematician of India, Srinivasa Ramanujan, did such the work only at the age of 32 years, which can be compared rarely. That is why he is considered to be one of the greatest mathematicians of modern times. 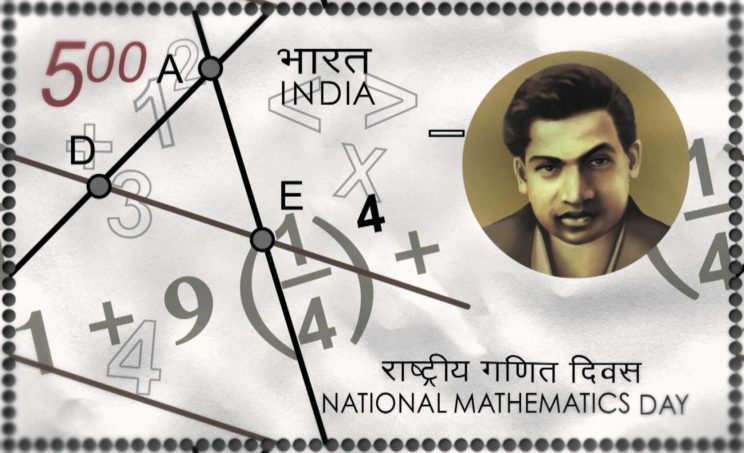 His birth anniversary is also celebrated as ‘”National Mathematics Day” in India. Srinivasa Ramanujan was a largely self-taught pure mathematician. He was one of India’s greatest mathematical geniuses. Hindered by poverty and ill-health, his highly original work has considerably enriched the analytical theory of numbers and worked on elliptic functions, continued fractions, infinite series and, more recently, physics. Srinivas Iyengar Ramanujan was born in his grandmother’s house in Erode, a small village about 400 km southwest of Madras on December 22, 1887. When Ramanujan was a year old his mother took him to the town of Kumbakonam, about 160 km nearer Madras. His father worked in Kumbakonam as a clerk in a cloth merchant’s shop. When he was nearly five years old, Ramanujan entered the primary school in Kumbakonam and attended several different primary schools before entering the Town High School in Kumbakonam in January 1898. At the Town High School, Ramanujan showed himself an able all round scholar. In 1900 he began to work on his own on mathematics summing geometric and arithmetic series. By the time he was 12, he had begun serious self-study of mathematics, working through arithmetic and geometric series and cubic equations. He discovered his own method of solving quartic equations. His memory for mathematical formulas and constants seems to have been boundless: he amazed classmates with his ability to recite the values of irrational numbers like π, e, and √2 to as many decimal places as they asked for. In 1904 Ramanujan left high school; his future looked promising: he had won the school’s mathematics prize and, more importantly, a scholarship allowing him to study at the Government Arts College in the town of Kumbakonam. Obsessed with mathematics, Ramanujan failed his non-mathematical exams and lost his scholarship. In 1905 he traveled to Madras and enrolled at Pachaiyappa’s College, but again failed his non-mathematical exams. At the beginning of 1907, at the age of 19, with minimal funds and a stomach all too often groaning with hunger, Ramanujan continued on the path he had chosen: total devotion to mathematics. The mathematics he was doing was highly original and very advanced. By 1910 he realized he must find work to stay alive. In the city of Madras he found some students who needed mathematics tutoring and he also walked around the city offering to do accounting work for businesses. Ramanujan tried to find work at the government revenue department, and there he met an official whose name was Ramaswamy Aiyer. Ramanujan’s good fortune was that Ramaswamy Aiyer was a mathematician. He had only recently founded the Indian Mathematical Society, and his jaw dropped when he saw Ramanujan’s work. Ramaswamy Aiyer contacted the secretary of the Indian Mathematical Society, R. Ramachandra Rao, suggesting he provide financial support for Ramanujan. At first Rao resisted the idea, believing Ramanujan was simply copying the work of earlier great mathematicians but a meeting with Ramanujan, however, convinced Rao that he was dealing with a genuine mathematical genius and Ramaswamy Aiyer began publishing Ramanujan’s work in the Journal of the Indian Mathematical Society. In March 1912 his financial position improved when he got a job as an accounting clerk with the Madras Port Trust. In July 1909 Ramanujan married S. Janaki Ammal, who was then just 10 years old. The marriage had been arranged by Ramanujan’s mother. The couple began sharing a home in 1912. Ramanujan and his supporters contacted a number of British professors and an eminent pure mathematician at the University of Cambridge, Godfrey Harold Hardy, known to everyone as G. H. Hardy, had received a letter from Ramanujan in January 1913. By this time, Ramanujan had reached the age of 25 and professor Hardy puzzled over the nine pages of mathematical notes Ramanujan had sent. Hardy reviewed the papers with J. E. Littlewood, another eminent Cambridge mathematician, telling Littlewood they had been written by either a crank or a genius ? After spending two and a half hours poring over the outlandishly original work, the mathematicians came to a conclusion that they were looking at the papers of a mathematical genius. Hardy was eager for Ramanujan to move to Cambridge, but in accordance with his Brahmin beliefs, Ramanujan refused to travel overseas so an arrangement was made to fund two years of work at the University of Madras. During this time, Ramanujan’s mother had a dream in which the goddess Namagiri told her she should give her son permission to go to Cambridge, and this she did. Ramanujan arrived in Cambridge in April 1914, three months before the outbreak of World War – I. Ramanujan’s prodigious mathematical output amazed Hardy and Littlewood. In 1918 Ramanujan became the first Indian Mathematician to be elected a Fellow of the British Royal Society. In his short lifetime he produced almost 4000 proofs, identities, conjectures and equations in pure mathematics. In 1917 he was diagnosed with tuberculosis and worryingly low vitamin levels. He spent months being cared for in sanitariums and nursing homes. In February 1919 his health seemed to have recovered sufficiently for him to return to India, but sadly he would only live for about a year on his return. Srinivasa Ramanujan died aged 32 in Madras on April 26, 1920. His death was most likely caused by hepatic amoebiasis caused by liver parasites common in Madras. His body was cremated. One of India’s greatest playback singers, Mohammed Rafi, was born on December 24, 1924, at Kotla Sultan Singh, a village in Punjab near present-day Amritsar. He was the fifth among the six sons of Hajji Ali Mohammad and Allahrakhi Bai. His father moved to Lahore in the 1920s. A family friend recognized Rafi’s singing talent and supported him. 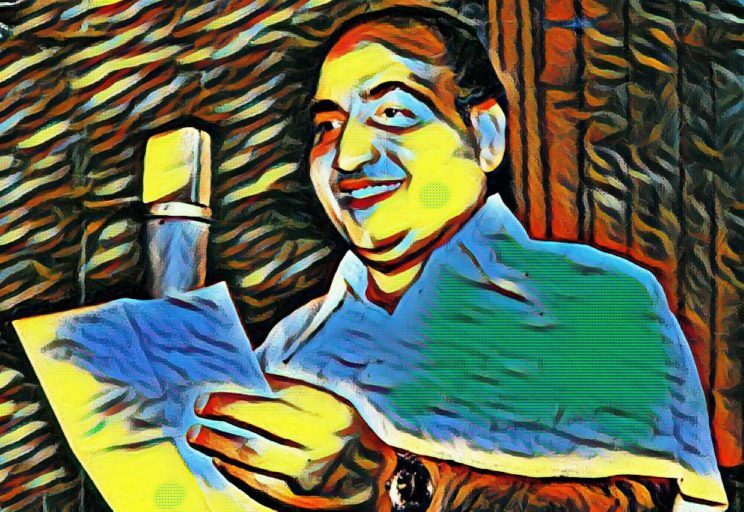 Mohammed Rafi started taking Hindustani Classical music from Pandit Jiwan Lal Mattoo who taught him the intricacies of Raag Shastra and Punjabi folk ragas Pahaadi, Bhairavi, Basant and Malhaar. He later trained under the tutelage of Ustad Abdul Wahad Khan of the Kirana Gharana and also received lessons from and Ustad Bade Ghulam Ali Khan of the Patiala Gharana. He was also trained by Feeroze Nizami, a producer in the All India Radio Lahore. Rafi performed his first stage show at 13 years of age in Lahore. He started singing for the All India Radio in Lahore from the year 1941. Rafi made his Hindi film debut with the song “Aji Dil Ho Aaabu Mein…” in the film ‘Gaon Ki Gori’. Eventually Rafi went to Bombay in 1944. After Partition Rafi decided to stay in India and brought his family to Bombay. Prime Minster Jawaharlal Nehru awarded Rafi a silver medal in 1948. Rafi worked with all the leading music directors of his time. He received 21 Filmfare Awards nominations for playback singing out of which he won 6 times. He also won a National Film Award in 1977. He also bagged the Bengali Film Journalists Awards thrice in 1957, 1965 and 1966. He was honoured with the Padma Shri award by the Government of India in 1967. The last song he recorded was ‘Shaam Phir Kyun Udaas Hai Dost’ for music director duo Laxmikant Pyarelal for the film Aas Paas. Mohammed Rafi died of a massive heart attack on July 31, 1980 at 10:25 PM at his residence at Rafi Mansion, Bandra. 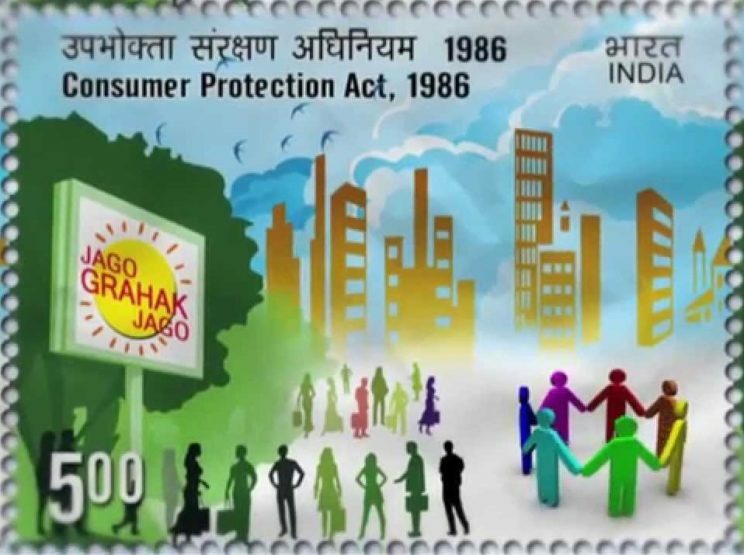 On 24 December, the Consumer Protection Act, 1986 had received the assent of the President so it is being observed as National Consumer Day in India. This Act aims to provide consumers with effective safeguards against different types of exploitation such as defective goods, unsatisfactory services and unfair trade practices. The Act applies to all goods and services unless specifically exempted, which covers the private, public and cooperative sectors. It also provides speedy and inexpensive adjudication. The Consumer Protection and Action Committee (CPAC) celebrates the day by distributing complaints forms, information brochures and other consumer rights literature freely to the public. The World Consumer Rights Day is observed on March 15, annually. Atal Bihari Vajpayee, born in the family of a humble school teacher on December 25, 1924 in Gwalior, Madhya Pradesh, India, is the first Prime Minister from outside the Indian National Congress party to serve a full five-year term. His birthday was the day when Mahatma Gandhi was elected the Congress president for the first and the last time. He was the Prime Minister of India in 1996, and again from 13th October, 1998 until 19th May, 2004. The image one most identifies with the former Prime Minister is that of a liberal, a leader who reached out again and again to Pakistan even after an unfairly fought and hard-won Kargil war, a leader who worked to solve the Kashmir crisis, who spoke of ‘insaniyat’ above all else. A veteran Parliamentarian whose career stretches over four decades, Shri Vajpayee has been elected to the Lok Sabha (House of the People) nine times and to the Rajya Sabha (House of the States) twice, a record by itself. Atal Bihari Vajpayee is a native of Gwalior in Madhya Pradesh. He holds a masters degree in political science and was educated at the Victoria College, Gwalior and DAV College, Kanpur. He is also a poet and writer, and has published several volumes of poetry, essays and speeches. Vajpayee’s involvement in politics began as a freedom – fighter during the Quit India Movement of 1942 to 1945. 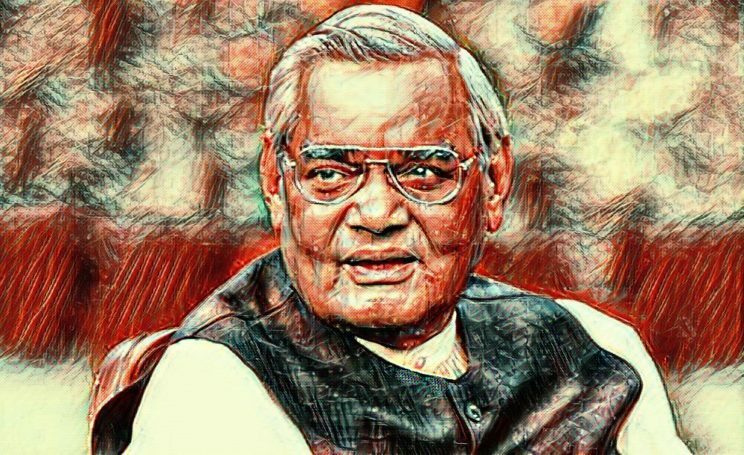 Shri Vajpayee had embarked upon a journalist’s career, which was cut short in 1951 when he joined the Bharatiya Jana Sangh, the fore-runner of today’s Bharatiya Janata Party, the leading component of the National Democratic Alliance. He was first elected to parliament in 1957 as a member of the Bharatiya Jana Sangh (BJS), a forerunner of the BJP. In 1977 the BJS joined three other parties to form the Janata Party, which led a government that lasted until July 1979. As foreign minister in the Janata government, Vajpayee earned a reputation for improving relations with Pakistan and China. In 1980, following a split in the Janata Party, Vajpayee helped the BJS to reorganize itself as the BJP. Vajpayee was sworn in as prime minister in May 1996 but was in office only 13 days, after failing to attract support from other parties. In early 1998 he again became prime minister, in elections in which the BJP won a record number of seats, but he was forced to make a shaky alliance with regional parties and BJP became the first non-Congress Party which completed its full 5-year term. In late 1998 and early 1999, Vajpayee began a push for a full-scale diplomatic peace process with Pakistan. With the historic inauguration of the Delhi-Lahore bus service in February 1999, Vajpayee initiated a new peace process aimed towards permanently resolving the Kashmir dispute and other territorial, nuclear, strategic conflicts with Pakistan. After successfully completing 5 years in the Prime Minister’s office, Vajpayee announced his retirement in December 2005. On 25 December 2014 the office of President of India announced the Bharat Ratna award, India’s highest civilian honour, to Vajpayee. In a special gesture, the President of India conferred Bharat Ratna to Atal Bihari Vajpayee in his residence on 27 March 2015. India’s second highest civilian honour, the Padma Vibhushan, was conferred upon him in recognition of his selfless dedication to his first and only love, India, and his more than half-a-century of service to society and the nation. In 1994, he was named India’s ‘Best Parliamentarian’. His birth anniversary is established as “Good Governance Day” in 2014 to honor him by fostering awareness among the Indian people of accountability in government. In keeping with this principle, the Government of India has decreed “Good Governance Day” to be a working day for the government. jab aankh hee se na tapka to fir lahoo kya hai.. There are many good poets worthy of praise, but, it is said that Ghalib (27 December 1797 – 15 February 1869) has a distinctive style. The name Mirza Ghalib needs no introduction for anyone mildly interested in India’s cultural history. Born in Agra as Mirza Asadullah Baig Khan, he migrated to Delhi where he lived for the rest of his life. ‘Ghalib’ was his pen-name. The substance of his poetry comprises of deep philosophical doubt, ruminations on the nature of love and life as a prison house of pain. In an obscure street in Ballimaran, after crossing the hustle and bustle of Chandni Chowk, lies its most celebrated memorial which gave rise to those wonderful anecdotes which still populate the cultural landscape. He came of a family of distinguished Seljuqid Turks, and his ancestors occupied important positions in the armies of the Mughals and of the East India Company. He was born in Agra in 1797. His father Abdullah Beg Khan was killed in action when Ghalib was less than five years old. After his father’s death, he was taken care of by his uncle Nasr Ullah Beg Khan, but when Ghalib was nice he too died. 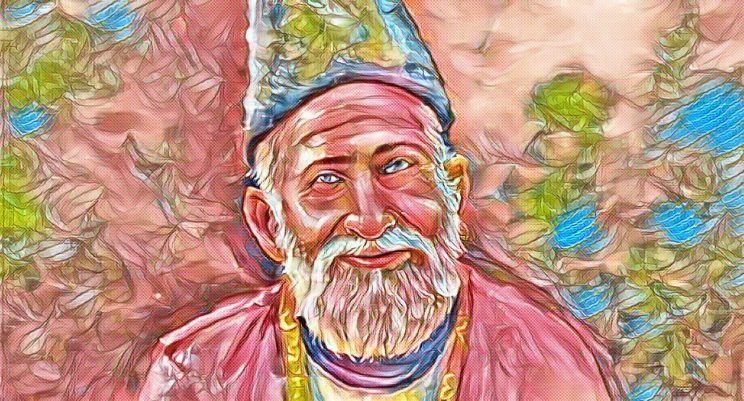 Ghalib henceforth lived with the rich parents of his mother whose indulgence towards him resulted in his developing unfrugal habits and plunging into youthful excesses, which in later years were responsible for many of his troubles. Ghalib started composing poetry at the age of 11 and got married at a very young age of 13 only, in a noble family around the year 1810. It is said that Ghalib had seven children, but sadly none of them survived. This pain has found its way into his poetry. His spouse was a contrasting personality when compared to him. She was a god fearing and a very reserved person as compared to Ghalib, who was a carefree and unrestricted person. It is said that Ghalib had a weakness for drinking and gambling. These two vices were something that he was truly fond of in his lifetime. Ghalib never strived for earning a decent livelihood and led his life on the generosity of his friends or state sponsorship. Though no one gave him due importance then, fame came much later. On February 15th 1869, this great poet breathed his last. It was not that he shied away from his duties in the mundane world. He fought valiantly for his rights to his ancestral pension. He traveled right up to Calcutta, met British officials at gubernatorial levels, argued his case vehemently, and after 14 years of hard pleading managed to win it too, with help from an intellectual of the caliber of Sir Sayyad Ahmad. Ghalib is perhaps the most well known and often quoted Urdu poet. Though fondly, and indulgently, his name is associated with the themes of romanticizing beauty of womankind, atheism, drinking, and largely a life of profligacy, rather than any serious depths or school of thought. Unfortunately Ghalib was grossly misunderstood in the society, mainly because he did not believe in the activities and rituals merely for show of religiosity. He would not perform nimaaz mechanically at prescribed times, or go to the mosque just to mark his attendance there with the community. His God was an universal God. Like the One Allah in Sufism or One Brahma in Vedant. de aur dil unko, jo na de mujhko zubaan aur..
Kuppali Venkatappa Puttappa (1904 –1994) known more famously by his pen name Kuvempu, is considered to be the greatest Kannada Poet, Novelist, Author, Thinker and Critic of 20th century. 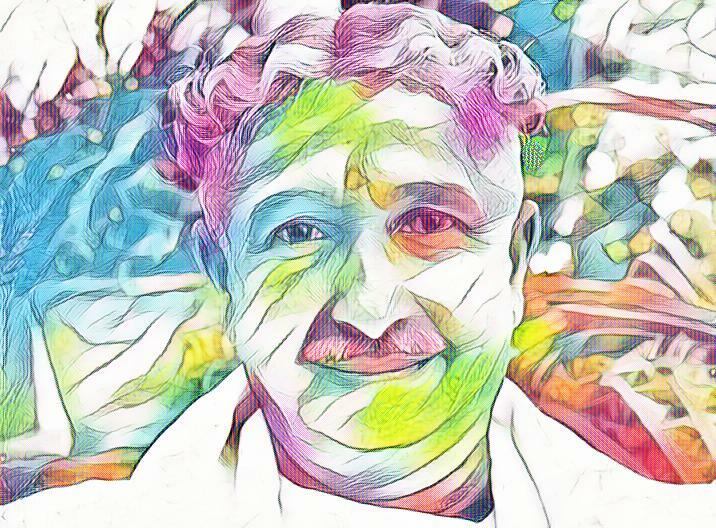 The Kannada language is spoken mainly in Kuvempu’s home state of Karnataka, and he strongly advocated for it to be the main medium of education. He is the first among Kannada writers to be decorated with the prestigious Jnanpith Award. For his contributions to Kannada Literature, the Government of Karnataka decorated him with the honorific Rashtrakavi (National Poet) in 1958 and Karnataka Ratna (Gem of Karnataka) in 1992. He was born in the Chikmanglur district of Karnataka on December 29, 1904. He had received early education in Shimoga and nearby districts and completed college education in Mysore. He had received early education in Shimoga and nearby districts and completed college education in Mysore. He started his academic career as teacher of Kannada language in Mysore and Bengaluru. He became professor, and then principal of the Maharaja’s College in Mysore. In 1956, he was appointed as Vice Chancellor of Mysore University. To promote research in Kannada, he founded the Kannada Adhyayana Samsthe (Institute of Kannada Studies) in the Mysore University. Today, it is known as Kuvempu Institute of Kannada Studies. Kuvempu took his last breath on November 1, 1994, at the age of 89. His first literary works were in English but then he shifted to his mother tongue Kannada. A poetry collection called “Beginner’s Muse” was his first literary work in English. His epic narrative ‘Sri Ramayana Darshanam‘, a modern rendering of the Indian Hindu epic Ramayana, is regarded as the revival of the era of Mahakavya (Great Epic poetry) in contemporary form and charm. Sri Ramayana Darshanam led him to become a Sahitya Akademi and Jnanpith Award winner. His writings and his contribution to ‘Universal Humanism’ gives him a unique place in modern Indian literature. His other works include poem collections, novels, Plays, autobiography, stroires, essays and so on. January 5, 1671 – Chhatrapati Shivaji Maharaj captured the ‘Salher’ fort from Mughals. January 5, 1869 – Venkatesh Tirko Kulkarni, famous Kannad novelist ‘Galagnath’, was born. January 5, 1893 – Paramahansa Yogananda (1893-1952), universalist Hindu, great saint, social reformer, writer and litterateur was born at Gorakhpur. He founded Self-Realization Fellowship (1920) and Yogoda Satsanga Society of India (1917), which continue to carry on his spiritual legacy worldwide. He was the author of the best-selling spiritual classic ‘Autobiography of a Yogi’ (1946), popular book globalizing India’s spiritual traditions. January 5, 1932 – Kalyan Singh, born on 5 January 1932, is an Indian politician from the state of Uttar Pradesh and has served three times as the Chief Minister of Uttar Pradesh. January 5, 1934 – Dr. Murli Manohar Manmohan Joshi was born in Delhi. January 5, 1941 – Mansur Ali Khan Pataudi, cricketer (Nawab of Pataudi jr., Indian batsman & youngest Indian Test Captain), was born in Bhopal. January 5, 1948 – Parthasarathy Harishchandra Sharma, cricketer (Indian batsman of the mid-70’s), was born in Alwar, Rajasthan. January 5, 1952 – Sushil Kumar Modi, born on 5 January 1952, is an Indian politician from the Bharatiya Janata Party and is the current Deputy Chief Minister of Bihar, India. January 5, 1955 – Kumari Mamata Promileswar Banerjee was born in Calcutta (West Bengal). January 5, 1968 – Arjun Munda, born on 5 January 1968 in Khrangajhar Jamshedpur, is an Indian politician, former Member of Parliament and the former Chief Minister of Jharkhand. January 5, 1986 – Deepika Padukone, born on 5 January 1986 in Copenhagen and raised in Bangalore, is an Indian actress and a former model. She made her acting debut in the 2006 Kannada film ‘Aishwarya’ and then played a dual role in her first Bollywood blockbuster ‘Om Shanti Om’ in 2007 and won a Filmfare Award for Best Female Debut. January 6, 1664 – Chhatrapati Shivaji attacked on Surat. 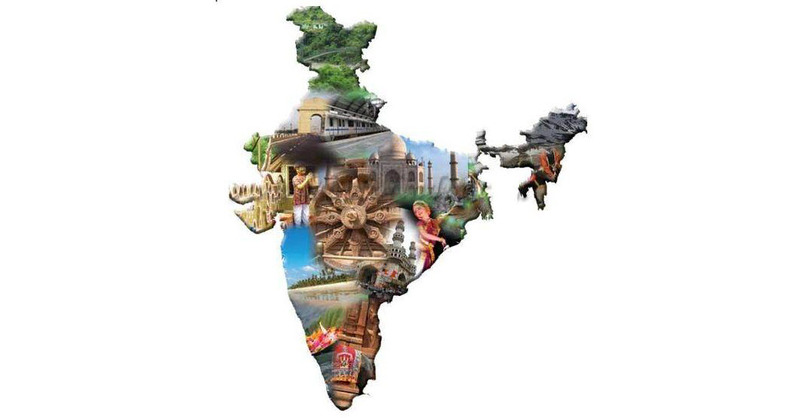 January 6, 1947 – All India Congress Commitee accepted the division of country. January 6, 1948 – India has submitted it’s complaint to Security Council, charging Pakistan aggression in Kashmir. January 6, 1959 – Kapildev Ramlal Nikhanj, cricketer and India’s finest all-rounder from 1978 to 1994, was born on 6 January 1959 in Chandigarh. He is better known as Kapil Dev and captained the Indian cricket team which won the 1983 Cricket World Cup. January 6, 1966 – Allah Rakha Rahman, born on 6 January 1966 as A. S. Dileep Kumar in Madras, is an Indian composer, singer-songwriter, music producer, musician, multi-instrumentalist and philanthropist. He is better known as A. R. Rahman. January 6, 1979 – Rohini-200, first monsoon experimental rocket, launched from Thumba. January 6, 1980 – In the 7th general election of India, Indian National Congress Party gains two-thirds majority in the Lok Sabha legislative elections under the leadership of Indira Gandhi. January 6, 1989 – For the murder case of Smt. Indira Gandhi, Satwant Singh (24) and Kehar Singh (54) executed in Tihar Jail at New Delhi. January 6, 1993 – India and Bhutan sign agreement on the giant Sankosh hydro-electric project. January 6, 2018 – Rashtriya Janata Dal (RJD) supremo and former Bihar Chief Minister Lalu Prasad sentenced to 3 and half years in jail and Rs 5 lakh fine by the Ranchi court, in fodder scam case. January 7, 1761 – Ahmed Shah Abdali, the ruler of Afghanistan, defeats the Marathas in third Battle of Panipat. January 7, 1859 – The Bahadur Shah II, the last Mughal Emperor, case trial was started for taking part in the first armed revolution against the British which ended on March 29. January 7, 1916 – Yashodev Suri, born on 7 January 1916 at Dabhoi, Vadodara District, Gujarat, India, was one of the greatest Acharyas of the Tapa Gaccha in the Svetambara sect of Jainism. He founded Jain Sahitya Mandir at Palitana and was a prolific writer who wrote 77 books, on various aspects of Jainism. January 7, 1948 – Shobhaa De, born as Shobha Rajadhyaksha on 7 January 1948 in Mumbai, India, is an Indian columnist and novelist. January 7, 1957 – Reena Roy, born on 7 January 1957, is one of the top Hindi film actresses. She has performed leading roles in many films from 1972 to 1985. January 7, 1966 – Bimal Chandra Roy, famously known as Bimal Roy born on July 12, 1909 in East Bengal’s Suapur village (now a part of Bangladesh) was an legendary Indian filmmaker. he died on January 7, 1966. His work includes such cinematic classics as ‘Sujata’, ‘Do Bigha Zamin’, ‘Devdas’, and ‘Bandini’. January 7, 1979 – Bipasha Basu, born on 7 January 1979, is an Indian actress, model who appears in Hindi films. She has also worked in Telugu, Bengali and Tamil language films. January 7, 1990 – The Leaning Tower of Pisa has been closed to the public for the first time in 800 years due to fears the tower may topple over. January 7, 1993 – The union govt. acquires 67.703 acres of land in the disputed area at Ayodhya and refered the issue to the Supreme Court. January 7, 1997 – Jaspal Rana bags six gold medals in the men’s standard pistol and air pistol and set two more records on the penultimate day of the National shooting. January 8, 1025 – Sultan Mehmood destroyed the Temple of Somnath completely. January 8, 1890 – Ramchandra Varma, renowned editor and credited for making the Hindi Dictionary, was born. January 8, 1906 – Howrah Railway Station, Calcutta, was inaugurated. January 8, 1908 – Mary Nadia Wadia (Fearless Nadia), great actress, was born. January 8, 1925 – The first All India Art & Craft Exhibition was inaugurated by Sir William Marries, Governor UP at Kaisar Baug, Lucknow. January 8, 1925 – Mohan Rakesh, one of the pioneers of the Nai Kahani (“New Story”) literary movement of the Hindi literature in the 1950s, was born on 8 January 1925 in Amritsar, Punjab, India. His noted books are “Aadhe Adhure” and “Aashaad Ka Ek Din” and was awarded the Sangeet Natak Akademi Award in 1968. He died died on 3 January, 1972 at the age of 46. January 8, 1939 – Nanda, an Indian film actress of Hindi films and Marathi films, was born in a Maharashtrian show-business family on 8 January 1939. Her career spans over 30 years and she is best known for her performances in Ittefaq, Gumnaam, Kanoon, Jab Jab Phool Khile, Chhoti Bahen, The Train, Hum Dono and Prem Rog. She died in Mumbai on 25 March 2014 at her Versova residence. January 8, 1947 – Rajasthan University established at Jaipur. January 8, 1968 – The Official Languages Act, 1963 was amended. January 8, 1984 – Sushma Mukhopadhyay, India’s first woman pilot, died at 74. January 8, 1993 – Dr. P.C. Alexander appointed Governor of Maharashtra. January 8, 1994 – Kamkothi Parmacharya Shri Chandrashekhar Saraswati, 68th Shankaracharya of Kanchi maat and Indian Saint, passed away at the the of 99. January 8, 1998 – Ramzi Yousef, the mastermind of the 1993 World Trade Center bombing was sentenced to life in prison.